Science developed to help the U.S. Department of Defense identify terrorists was employed to identify Hong Kong litterbugs. Hong Kong Cleanup (HKC), an environmental NGO, recently used proprietary DNA phenotyping techniques, available for purchase by credit card, in an effective anti-littering awareness program. 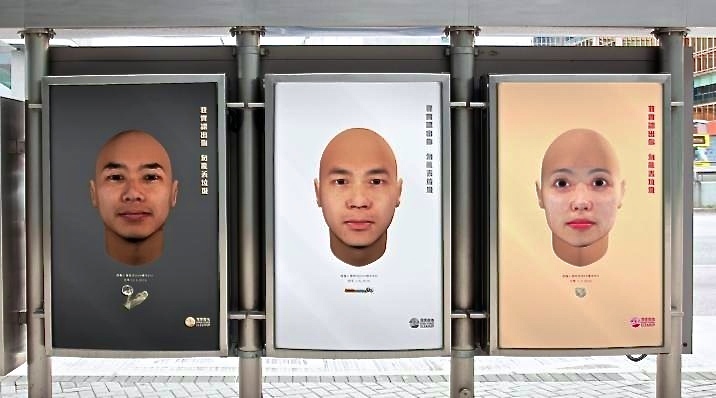 The effort, tagged a “campaign to face the problem of littering – literally”, employed Snapshot technology to create facial images probabilistically determined by DNA samples extracted from litter (such as cigarette butts, coffee cups, and condoms) combined with other evidence. DNA was used to predict features such as eye, hair, and skin color; shape of the face; and ancestry. Integrating that with other clues, such as type and location of litter to help approximate the age of the litterer, further refined the images. On Earth Day, poster portraits generated by Snapshot appeared on social media and at bus shelters and subway stations near where the trash they were associated with was found. Additionally video adds and news stories warned the public not to become the next “face of litter”.